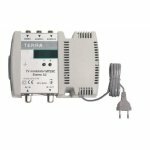 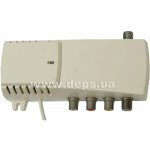 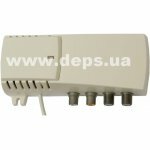 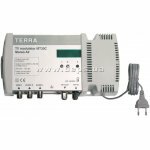 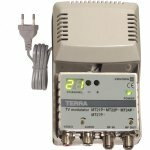 Multistandard twin modulators mt420 and mt420C – TV modulators are intended to form single side band signal of analogue TV in VHF and UHF bands. 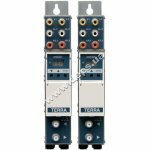 Each section is controlled separately and output channel of each section of the modulator is set independently of the other section. 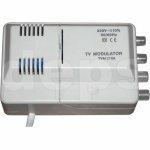 Agile TV modulators with one band (channel-to-channel operation); LED display and button-type control over a built-in microprocessor;Non-volatile memory; Phase-locked-loop quartz-crystal control over frequencies carrying video and acoustical signals; Control over HF output level and input level of sound; Transmission-line summation over HF signal; One modulator covers the whole TV range; Low level of harmonics and intermodulation distortion; A built-in test-generator; Connectors: V/A - jack of type RCA; HF – jack of type F.